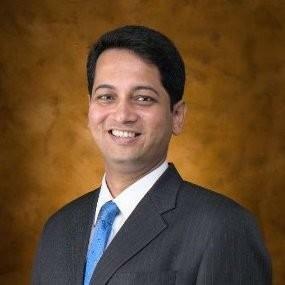 DSK Legal senior partner Tushar Ajinkya has joined Economic Laws Practice (ELP) with a team of three in Mumbai. He specialises in corporate and commercial work, including information technology, pharmaceutical, cross-border M&A and forensics and fraud investigations. Also joining with him are Ankita Kashyap, as counsel, and Sukanya Sehgal and Chirag Jain as associates. Ajinkya had been with DSK Legal for 17 years, since 2001, having started his career after a 1999 LLB from GLC Mumbai, joining Nishith Desai Associates for two years. “We are just looking for like-minded people who can fit in and grow my firm,” he added. Nathani added: “We’ve grown up our corporate team substantially,” noting that Ajinkya would be the 8th partner in its corporate practice. In the past 24 months, the firm had hired 12 partners, of whom seven were in tax and tax litigation, which “continued to remain the core practice of ELP”, he said. Ajinkyar was the third lateral hire into the corporate team in the last two years. [...] Anyways last year partners were complaining of lower take homes, what will happen now? Last I knew ELP was a partnership. So, "“We are just looking for like-minded people who can fit in and grow my firm,”?? When did a partner with a team size of 3 become a "Senior Partner". Also, he wasn't even part of the Corp/Commercial practice here, at DSK - he was projected as a forensics guy. ELP sure knows how to spin things. One should really do a fact check before trolling. Even a quick look at DSK partner profiles on their website should be enough to show his wide experience in the corporate space that DSK was projecting. Clearly all the recognitions too must have been mistakenly given as per you. well, interestingly DSK is one of those firms where partner profile includes every practice area under the sun, do not be surprised if you stumble across something which you never thought of as a practice area. Hows the transaction work at ELP. I know its better known for their tax practice. @Kian why are you censoring my comment? It should be published. It is the truth. This guy [...] wouldn't have been unless it had been vacated! [...] He [...] even now has a hard time against the tax and litigation partners who still run bigger practices than his. No one thought Tushar could EVER move from DSK. He's an amazing negotiator with deep sector knowledge in pharma and IT. What a catch ELP!!! Why are there so many trolls coming on to this website? Live and let live. Tushar is a great pick and for better prospects people move from one firm to the other. And every firm has their own goods and bads. I am sure top minds evaluate and take wise decisions.